King Willem-Alexander and Queen Maxima wrapped up Wednesday's part of their tour of Australia with a concert at Sydney's famed Opera House. 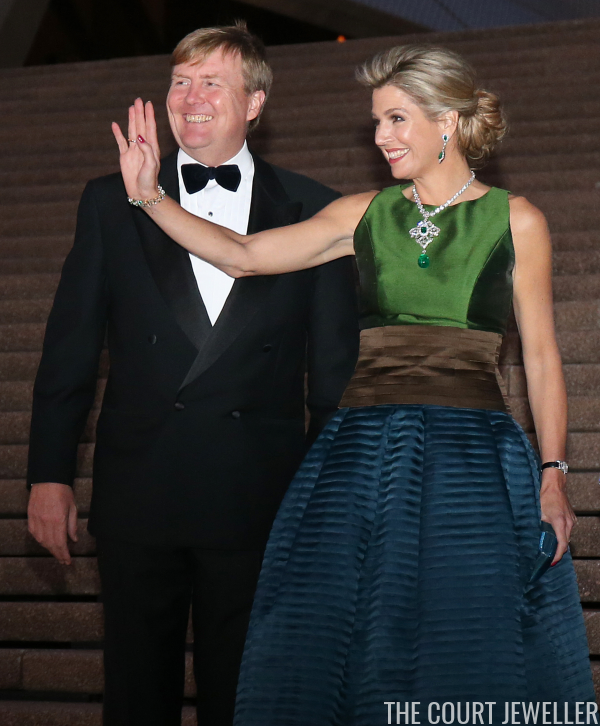 For this evening event, Maxima continued this state visit's trend of major jewelry. 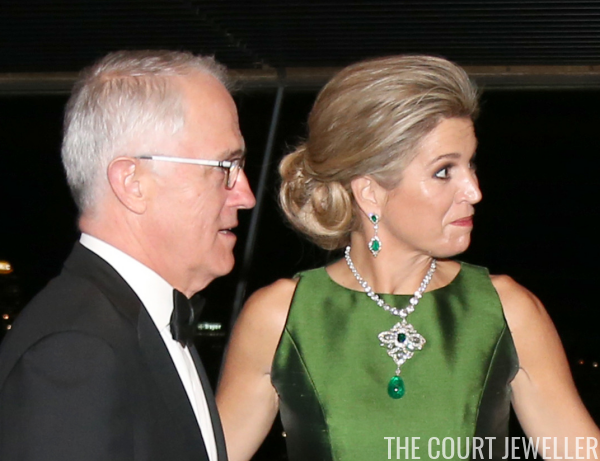 With her evening gown, Maxima wore the diamond and emerald earrings from her own personal collection. 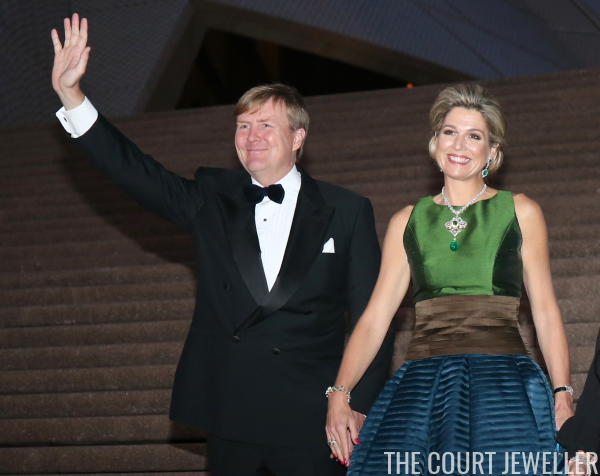 She paired the earrings with a jewel from the Dutch royal collection: a diamond riviere, from which she suspended the large brooch from the emerald parure. To that brooch, she attached an enormous cabochon emerald drop. This emerald has been in the family for quite a long time, possibly dating back to the late 18th century. 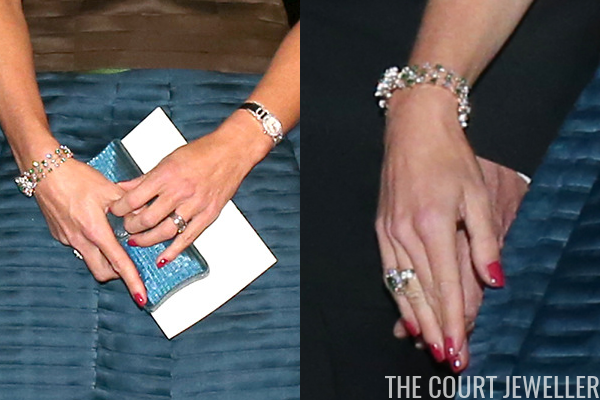 Maxima also wore the diamond and emerald-studded bracelet from the emerald parure. The piece is an open-work creation. She's also wearing a large ring on her right hand; I believe it's the ring from the emerald parure. I am all starry-eyed over the emeralds, but I will admit that I'm not the biggest fan of the dress. I'd have loved to see these pieces against a solid navy-blue gown.